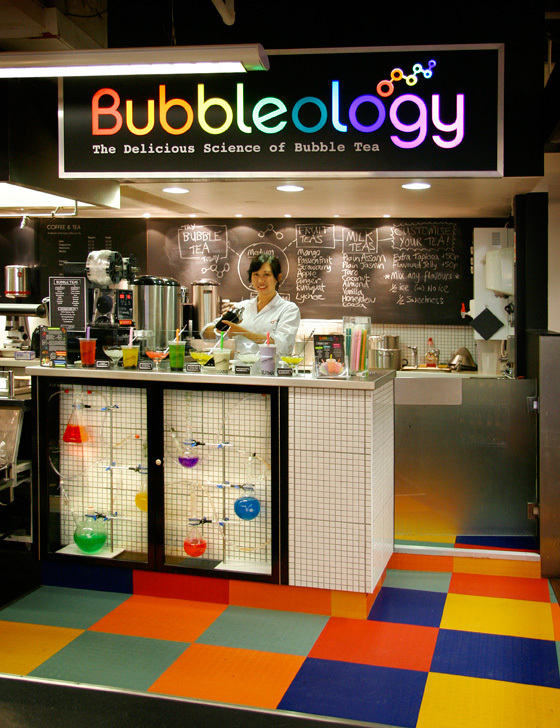 Following on rapidly from the huge success of Bubbleology's big bang in Soho, our Bubbleologists have been offered a space to practice the delicious science of 'bubble tea' on the 5th dimension (okay, the 5th floor) food hall at the prestigious Harvey Nichols store in Knightsbridge. Harvey Nichols is known as the place for retail innovation and Mystery have had exponential fun designing the experimental tea-lab kiosk and packaging for an exciting 'Home-Bubbleologist Kit' which will be launched in the store from early September. I'd like to personally invite you to try the delights of bubble tea as my guest - so please drop me a line and we'll fix up a date to meet in Soho or Knightsbridge. 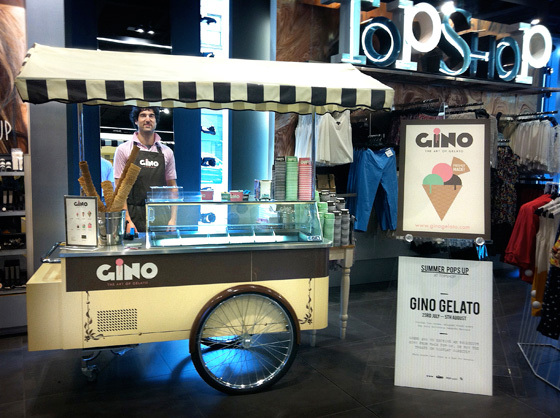 BTW: Another great way to escape the heat in Knightsbridge, is to pop along to Topshop on Brompton Road where we've helped our friends at Gino Gelato create a pop-up carretino (traditional italian cart) serving their freshly made gelato in store this week. Enjoy! dan@mystery.co.uk or 020 7456 7833.